These days most of the images we have are in digital format. It is convenient, easy to make and share. But we all still enjoy the magic of the beautiful pictures on the wall. There are so many precious moments in our life to put on canvas. From baby birth, travel adventures, family gatherings to competitions, awards and life milestones or celebration of special occasions. 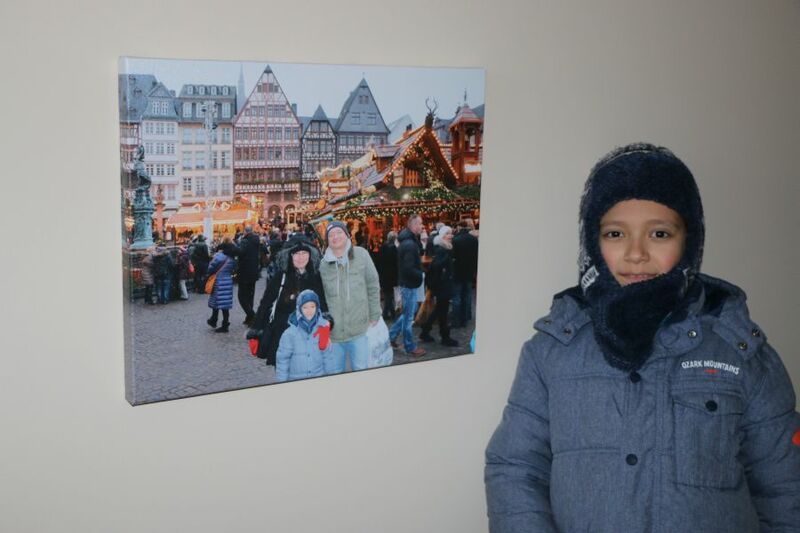 Although we travel a lot we did not print any pictures at all, until the moment when Teddy’s school teacher gave him an assignment to bring a printed photo about his life. I think only that time we started seriously treat our photos as treasures and made a print of our family shot near the Pisa Tower. Later we wanted to make more prints and this time on canvas, so we can put them on the walls to enjoy and remember our adventures. That was quite expensive treat and Canvas Company knew that. That’s why they come to help with easy to use and affordable printing solutions. 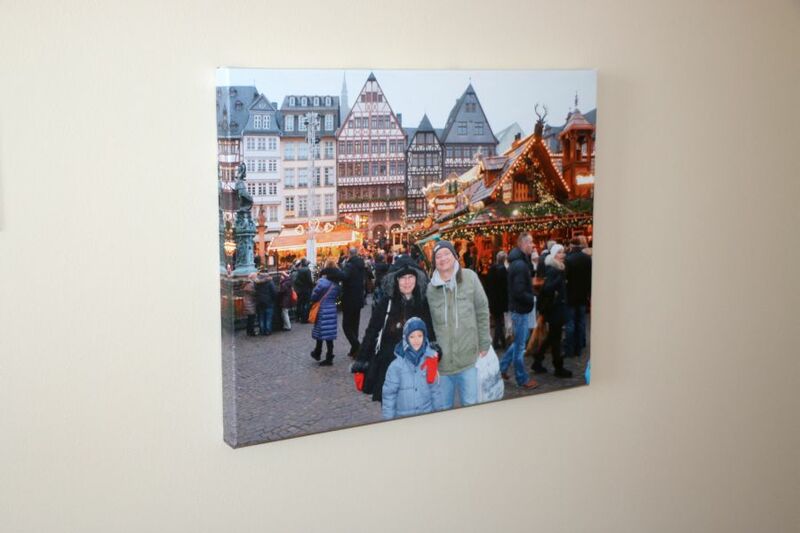 Our next project with Canvas Company became a photo from our European trip. 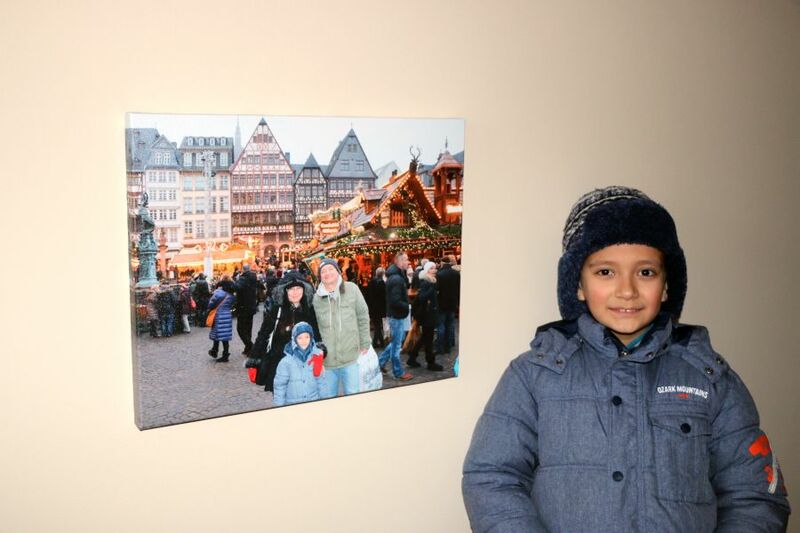 Frankfurt Christmas Market was festive and colorful and the best fit to be on the wall. Placing an order on Canvas Company web site was fast and easy. I like how organized and simple online ordering is. I also like that the site has an editor, so I could resize the photo. I wanted to see us in the middle of the print and include all the famous attractions too. The site also offers great wraparound feature. You can choose the wrapped sides on the canvas; they can be just one solid color or like a continuation of the picture when the sides are mirrored. Besides single canvas prints, you can also order canvas collages, split images and wall displays. Canvas Company also works with acrylic and metal prints. If you are not info printing your own photos then the site has millions of images to choose from organized by theme, for example - Landscape, Contemporary or Abstract. We are very happy with the quality of the print when our canvas arrives. 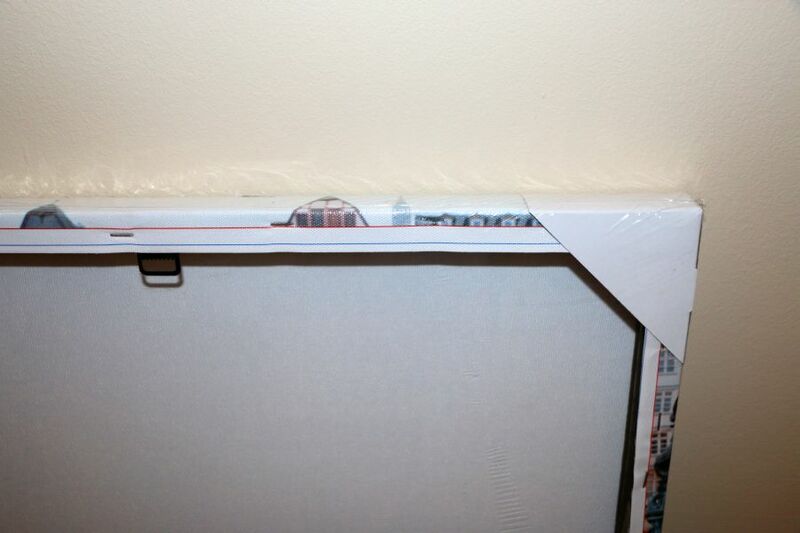 It is neatly framed and the back has a metal hanger to put the print on the wall. The colors are bright and the whole picture looks amazing. 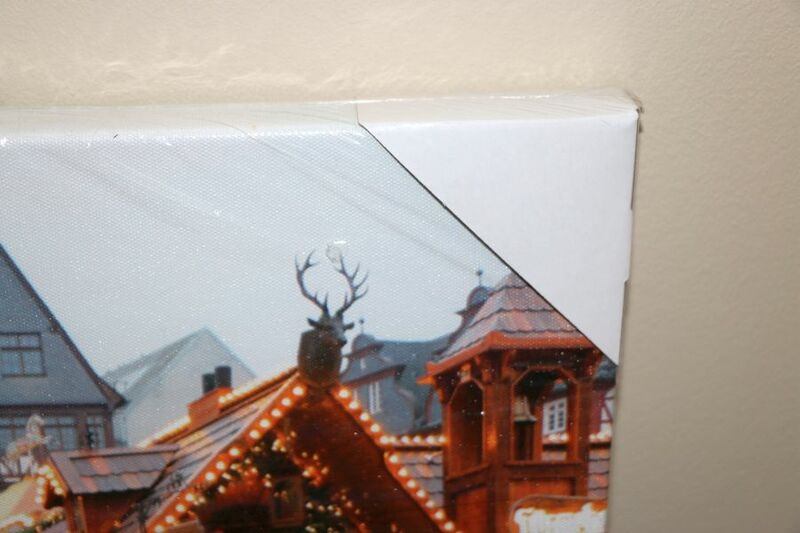 If you want to have some quality prints then try to check Canvas Company. It's beautiful they do great work ! They do such great work, I love the canvas prints!